Summer is right around the corner, some days I can nearly smell it and I start looking at shorts and suncream and planning our days at the beach. Of course there is still the odd day where it feels like we are only just shaking off Winter, but on the whole it is feeling a whole lot like Spring down here. Every now and then we get a day of unexpected sunshine, enough that we throw off our jumpers, bare our arms and come home with slightly sunkissed cheeks. 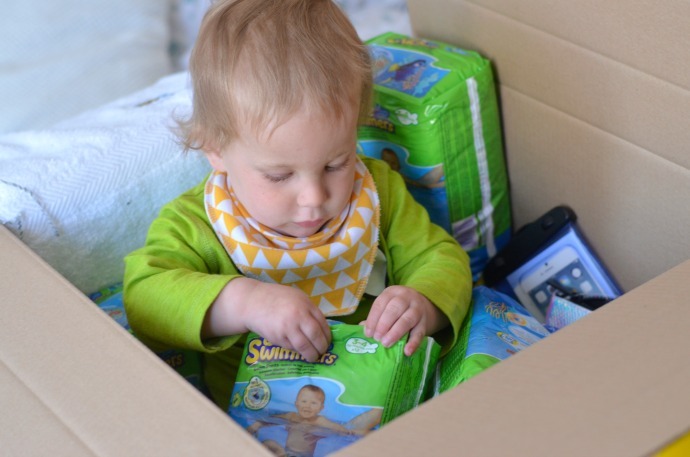 This summer I am excited to be a Huggies® Little Swimmer® Get Set, Splash ambassador - well Finn is anyway! With the launch of their new swim pants featuring Dory from the upcoming Disney Pixar film 'Finding Dory', I know this little boy of mine is going to be out splashing at every opportunity he can. He is a real water baby and we now have a couple of pairs of swim pants in the changing bag so that if the sun suddenly decided to shine and he fancies a crawl into the sea then we are prepared. They don't leak or expand in the water so they won't get in the way of his chubby legs as he crawls and splashes and I can guarantee no nasty accidents! 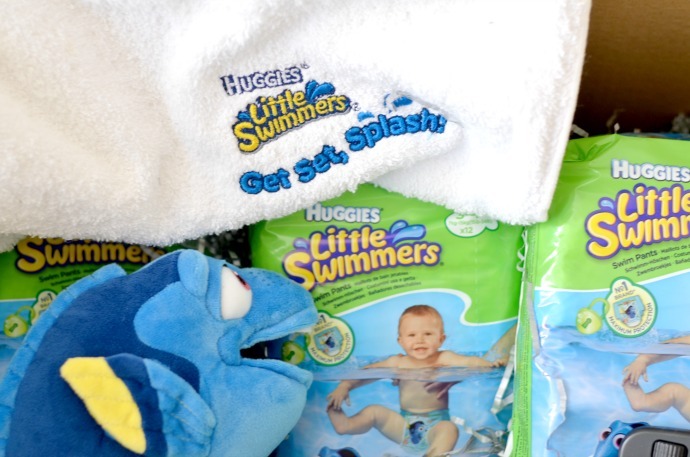 I am partnering with Huggies® to show you how easy it is to get out and get splashing. Impromptu adventures are our favourite kind and keeping a pack of Little Swimmers® in your changing bag means you are always prepared! Whether it is the beach, a pool or a garden sprinkler this summer is the time to make a splash and make memories.